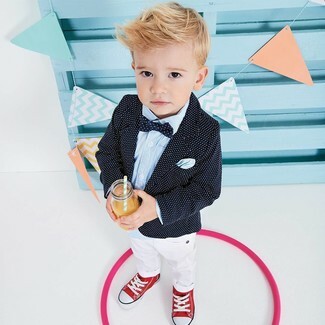 Teach your child to take pride in his appearance by suggesting that he wear a black polka dot blazer and Ralph Lauren boys linen cotton skinny fit pants. Complete this outfit with red sneakers. 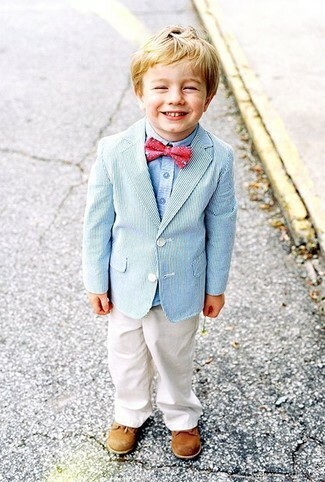 Suggest that your little one dress in a light blue blazer and white trousers for a sharp, fashionable look. This getup is complemented perfectly with tan oxford shoes. 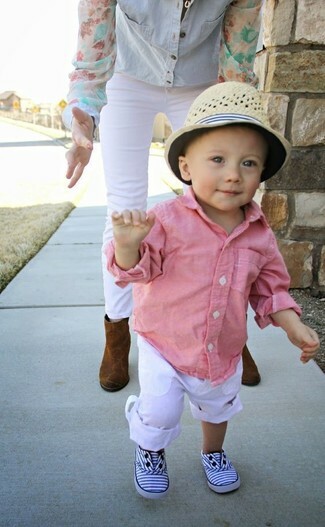 Go for a classic style for your kid with a pink long sleeve shirt and Ralph Lauren boys linen cotton skinny fit pants from Saks Fifth Avenue. As far as footwear is concerned, suggest that your tot go for a pair of white sneakers.